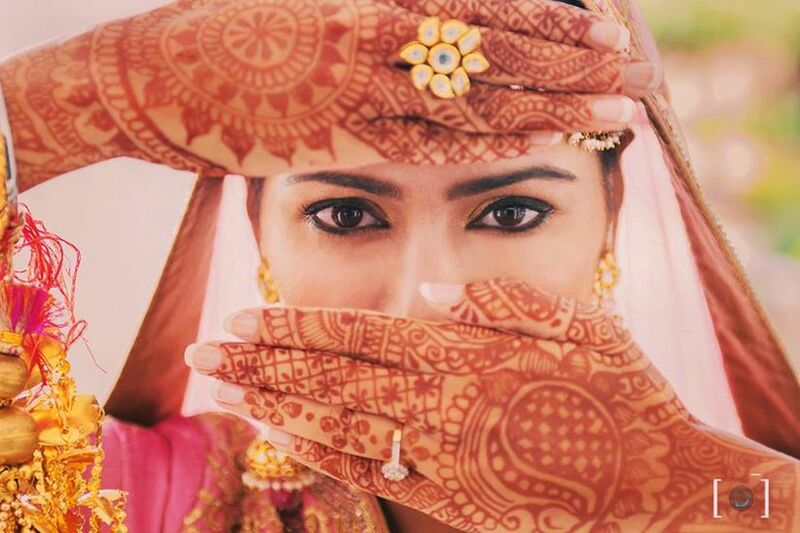 7 Dulhan Makeup Elements That Complete the Look For An Indian Bride | Wedding Tips ARE YOU A VENDOR? 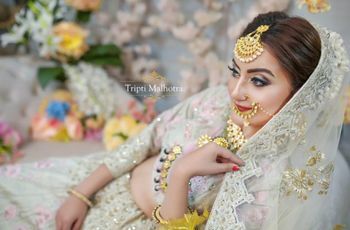 The beauty of a bride is ethereal and what better way to show it than with traditional makeup elements that have been going on for decades and centuries. 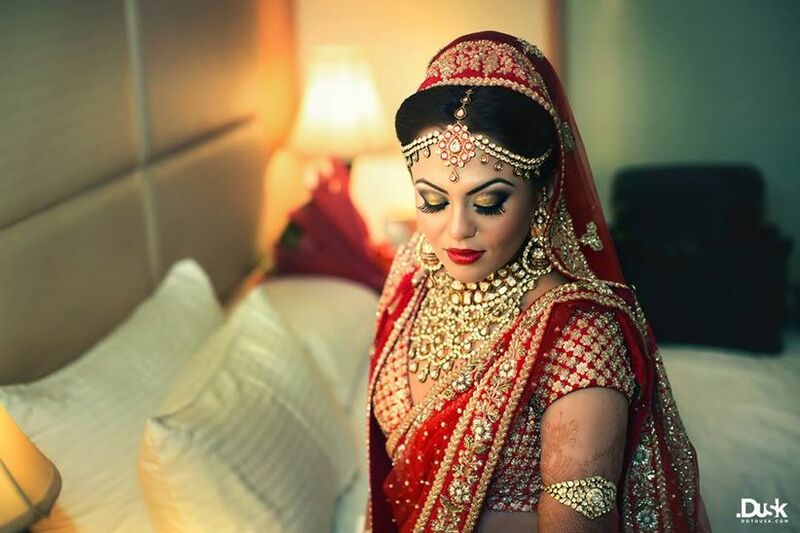 Take a cue from these traditional dulhan makeup pictures and slay. 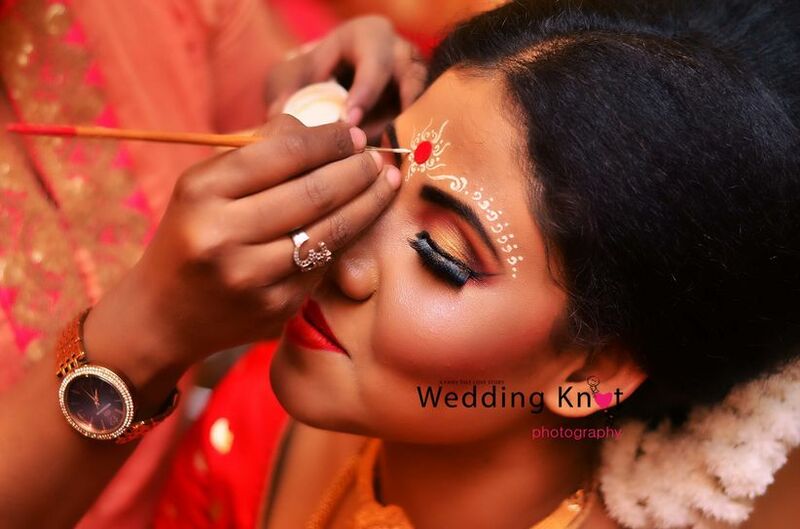 Traditional makeup is known to complete the look of an Indian bride. These elements are not the modern makeup tips that make you look completely different, but rather they are tips that simply enhance your natural beauty. These tips will help you nurture your true beauty and make you look radiant on your big day. The traditional way of getting brides ready has started to become an old tradition for a number of people. 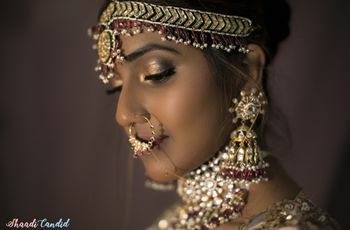 Though the contemporary makeup is excellent too, some of the traditional elements that we are going to talk about, should not be forgotten as these elements make a bride look truly Indian. The bindi is an important part of the dulhan’s makeup. It was earlier known to be a sign of the marital status, signifying that the woman was married. Now, it can be adorned by all women, whether married or not. The traditional bindi for the bride is usually in the colour red or hues of the shade, as it is known to be auspicious in our country. Then we have the Maharashtrian brides who traditionally wear a crescent bindi, that is placed with the moon facing up. The Bengali’s wear a round-shaped bindi, but they have intricate designs all around it. This bindi is known as the Chandan bindi as these designs were made from Chandan paste. The bindi heightens the beauty of the bride as it makes the face look more symmetrical, making it look appealing. Earlier the traditional Indian bride used natural ways to redden her lips months before the wedding day. Though in recent times the red lipstick is every bride’s favourite to achieve this effect. Whereas the older generation even used methods like chewing betel leaves to achieve this colour. The long-established red colour for lips is still a strong contender for the colour used on a bride’s lips as it brightens your face and makes your lips look plumper. Traditionally, kajal is known to be the makeup on the eye for a dulhan. It was made from all natural ingredients in the older times. This is why it was healthy to apply to the eye as well as to make you look beautiful. Kajal is still something that is an important aspect of bridal makeup as it makes your eyes look bigger and gives it a doe-like appearance. Earlier kajal was used both to the upper and the lower lash line, as it worked as an eyeliner too. 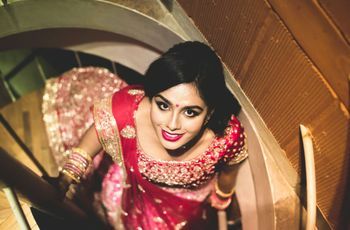 This extremely essential bridal makeup element is also known by various names all over India, like, Surma, kajal, and more. 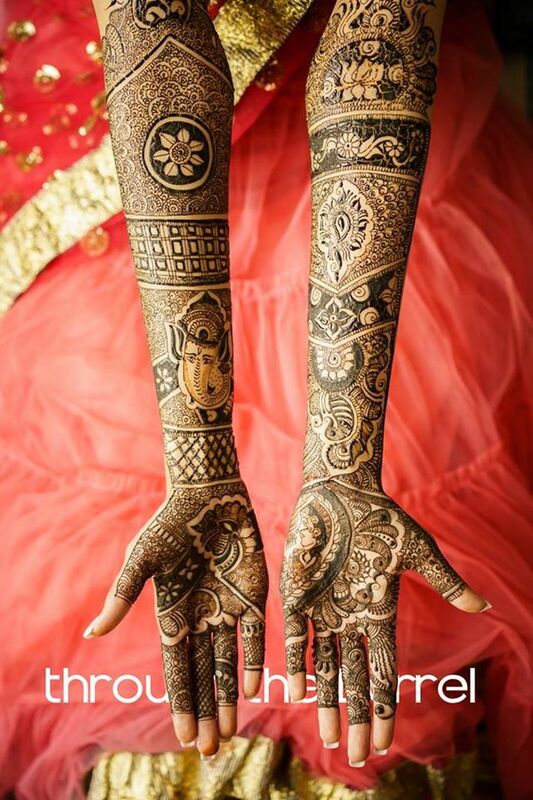 Mehndi or Henna is applied to a dulhan’s hand a day or two before she gets married. The design on the dulhan’s Mehndi also hides the name of her husband as a ritual. The Mehndi leaves a reddish-brownish colour once the paste dries and is removed. It was earlier said that the darker the colour of your Mehndi is, the happier the bride will be in her married life. The beautiful designs drawn by Mehndi are still appreciated by women and girls all around India. This dulhan makeup element goes very well with the heavy Indian wedding attire that you wear. Alta is an alternative to Mehndi at some places in India. Alta is a red dye, which is used to adorn the hands and feet of the brides, though some states use it to just adorn the feet. Though the designs made by Alta are not as delicate as mehndi designs, they are just as beautiful. 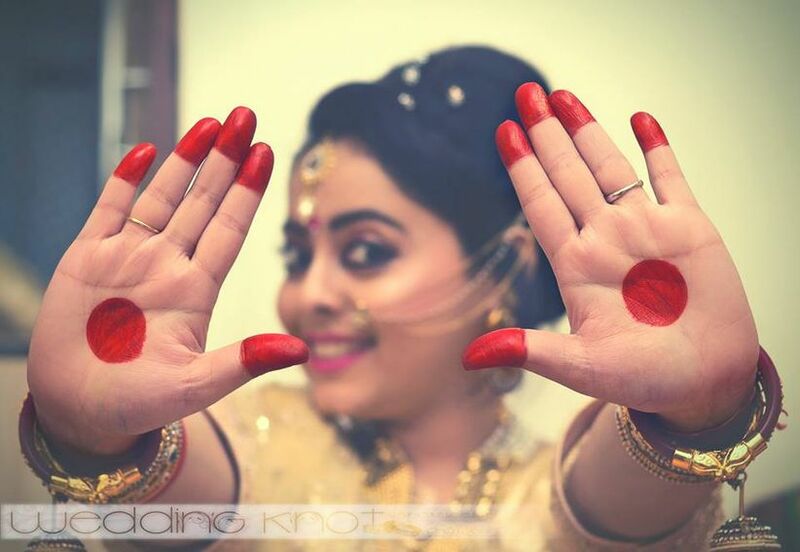 The red colour which adorns the bride's hand and feet symbolizes fertility and prosperity. The bridal look seems incomplete with your hands and feet not dyed red or even dark pink. With your traditional attire, the red dye of the Alta just makes the colour seem vivid. Check some more Mehndi designs for your Mehndi ceremony. Another very popular element of dulhan makeup is putting flowers in your hair. White flowers, especially jasmine, were a very popular option for it earlier. Putting flowers in your hair has a couple of advantages for the bride. It looks beautiful; it smells very good and also makes you smell good. It is also said that the smell of jasmine helps calm down the bride, so for a dulhan who was jittery, it is known to be an advantageous accessory. 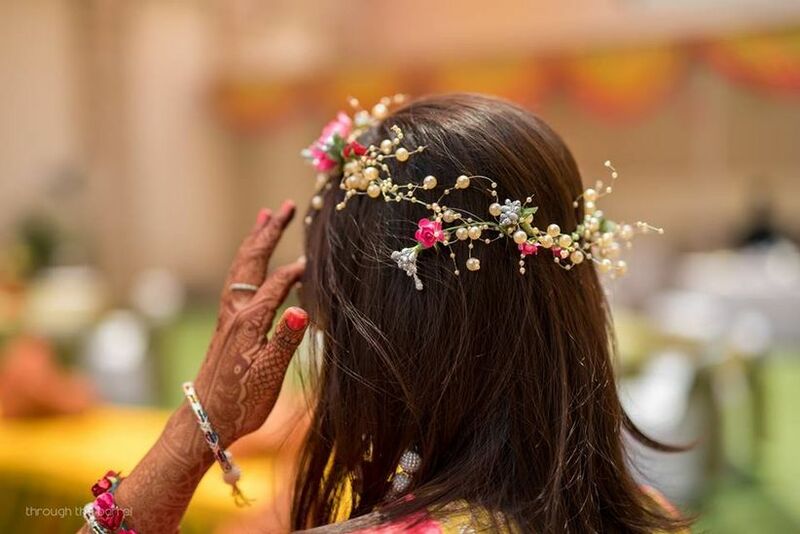 Though nowadays, not a lot of dulhans like the traditional jasmine for the hair, still they and adapt the old tradition with a newer version, by wearing floral jewellery in their hair which they find more modern and up their alley. 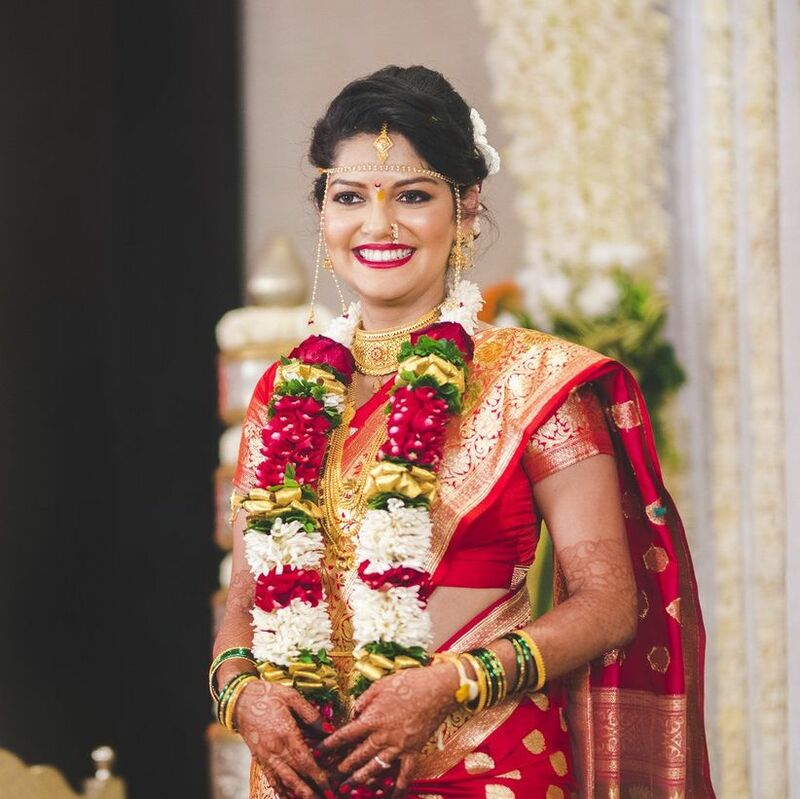 Take some inspo from our blog that features some of the looks traditional South Indian brides are slaying in. Floral tiaras are also a version of the traditional makeup element. Adorn one at your functions and slay girl! 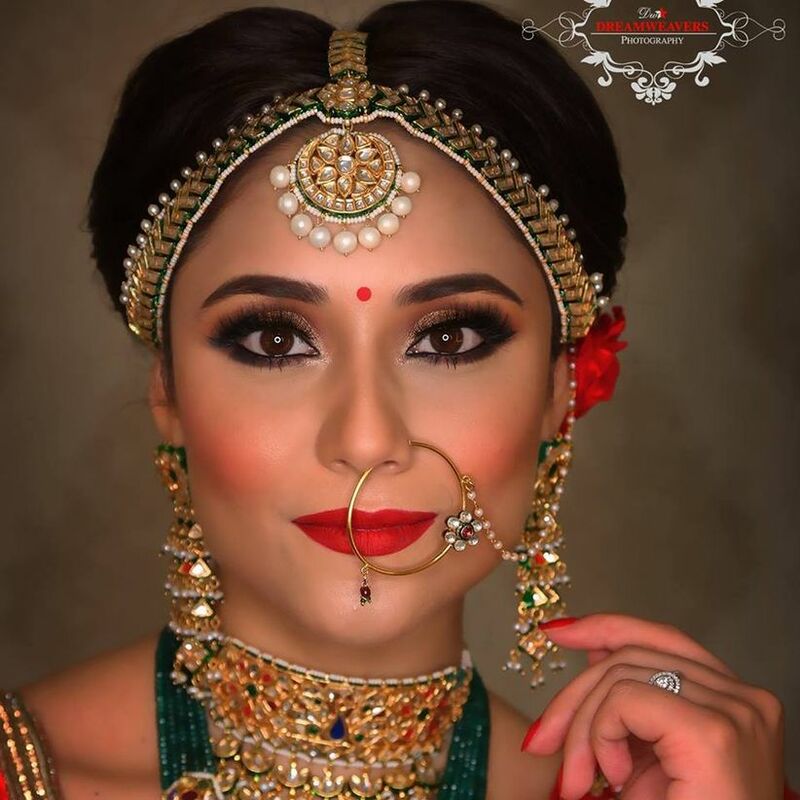 These dulhan makeup elements might be old but are sure to bring the wow-factor to the bridal look by making them appear naturally beautiful. We hope you got the inspiration to go old school that you were looking for. 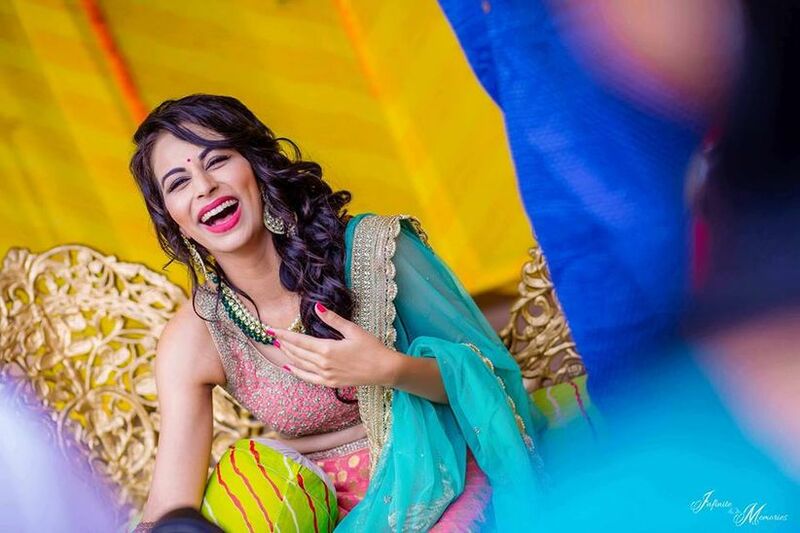 Trust your toots and slay as a traditional Indian bride. Have a look at some of our makeup artists and have them weave their magic. Do you agree with us? Tell us your favourite traditional makeup element and why you love it, in the comments below!